One of the largest free bluegrass festivals in the country continues the tradition of music and folklife in Henderson, Kentucky this weekend. 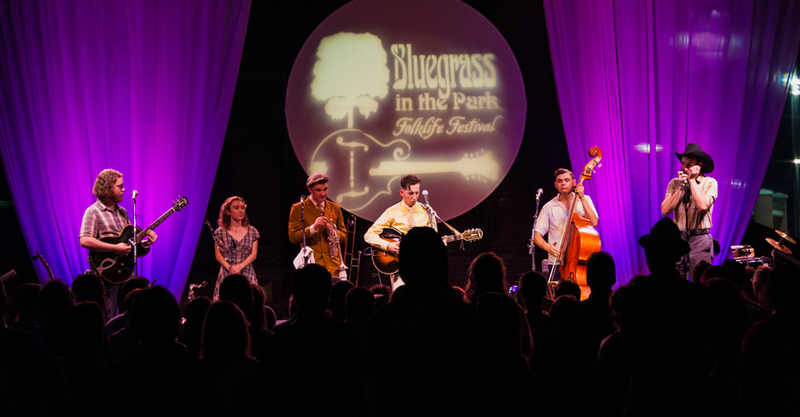 The 2018 Bluegrass in the Park & Folklife Festival takes place in Henderson’s downtown riverfront park, Audubon Mill Park. Grab some friends and lawn chairs and enjoy the reminiscent sounds of the bluegrass state. Download your free copy of the Bluegrass in the Park Festival Schedule at this link! Food Vendors: 4 p.m. – 10 p.m.
Music: 4 p.m. – 10 p.m.
Music: 7 a.m. – 10 p.m.
Folklife: 10 a.m. – 4 p.m.
Artisan Merchants: 10 a.m. – 6 p.m.
Food Vendors: 11 a.m. – 10 p.m. Antique Tractors and Antique Car Show: 10 a.m. – 6 p.m.
KY Wheelman Demonstration Ride: 12 p.m.
Plan your festival stay in Henderson, Kentucky. See available overnight accommodations.